LSE’s History series for LSE Women: making history celebrates some of the notable women at LSE through the years. Sue Donnelly looks back at Margaret Gowing: LSE alumna, civil servant and academic. The historian Margaret Gowing (1921-1998) was the author of histories of the Second World War and the UK’s nuclear power and nuclear deterrent capacity. In a 1988 letter to LSE Director I G Patel, Gowing credited LSE for her interest in history – previously she had thought it “a tedious, dynastic and bellicose business”. Margaret Gowing was born in North Kensington in a working class family. She attended Portobello Road and Oxford Gardens elementary schools before winning a scholarship to Christ’s Hospital School in Hertford in 1932. At Christ’s Hospital Margaret did well academically, became a prefect and played in her house hockey team. On 21 November 1937 she came up to LSE for an interview and after gaining distinctions in Latin, English and French and a pass in German in her higher certificate Margaret started at the School in the autumn of 1938 with the support of a Leverhulme scholarship and a state scholarship. Margaret’s first year advisor of studies was the economist Vera Anstey who said that Margaret had “a decided bent for economic history” and whose end of year report called her “an excellent student with a scholarly type of mind”. She won the Intermediate Prize and her selection of books included The American Presidency by Harold Laski and art books on Rodin, Michelangelo’s sculpture and the impressionists. By her second year Margaret Gowing had developed a clear interest in in economic history and in 1939-1941 she held the Lilian Knowles Scholarship intended for students focusing their studies in economic history. In 1939 Margaret Gowing joined the evacuated School in Cambridge to continue her studies, at one time living on St Paul’s Road, Cambridge. Her second year advisor of studies was Professor Eileen Power, who perhaps thought her a little immature, calling Margaret a “promising school girl”. Her fellow economic historian, Jack Fisher, was rather more impressed calling her “a student of tremendous industry and terrifying efficiency”. Throughout her time at LSE her personal tutor was Dr May Wallas, daughter of LSE founder Graham Wallas, who was lecturer in French at LSE until 1945. Margaret’s file also indicates that she attended lectures by many of LSE’s best known teachers including Lionel Robbins, Hayek and Ronald Coase in Economics and Harold Laski on Political and Social Theory. Correspondence with Margaret’s former headmistress at Christ’s Hospital describes an early interest in joining the Civil Service and on leaving LSE with a first class degree Margaret Gowing worked at the Ministry of Supply and the Board of Trade. In 1944 she married a musician, Donald James Graham Gowing – they were to have two sons and be married for 25 years until Donald’s death in 1969. 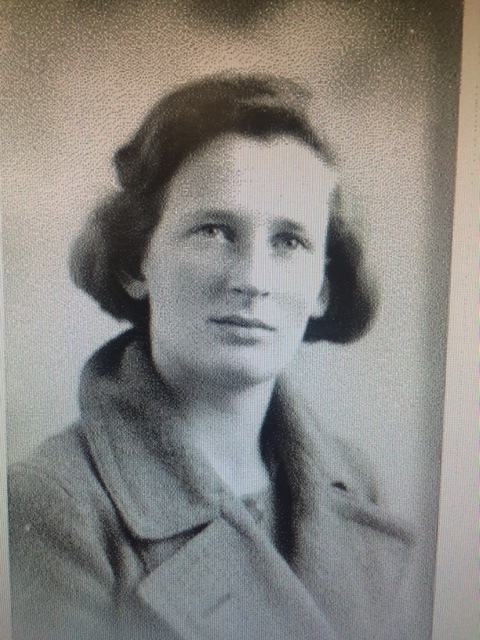 In 1945 Margaret found her vocation as a historian when she was appointed assistant to Sir Keith Hancock at the Cabinet Office working on a series of civil histories of the Second World War. She remained at the Cabinet Office until 1959 co-authoring British War Economy with Hancock in 1949 and Civil Industry and Trade with Eric Hargreaves in 1952. Margaret’s knowledge of government records and their use by historians led to her sitting on the Grigg Committee on Departmental Records which led to the 1958 Public Records Act establishing the relationship between the Public Record Office and government departments and setting the closure period of government records to 50 years. It was the first of several contributions to improving the care of and access to government records to the benefit of administrators and historians. 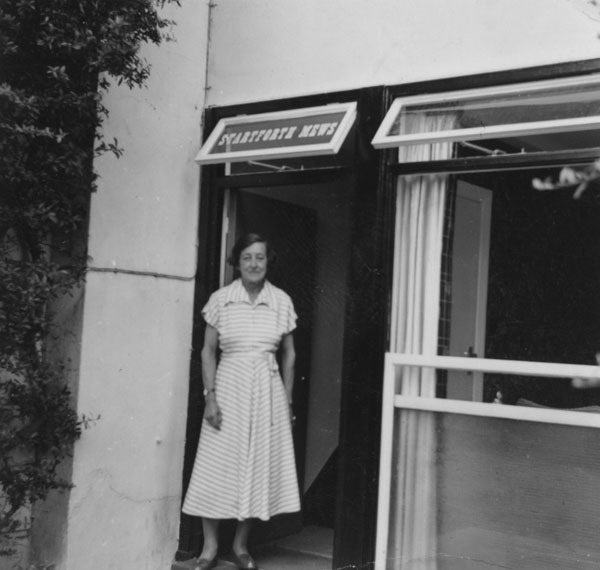 In 1949 Margaret joined the UK Atomic Energy Authority as historian and archivist – a task which involved applying the industry and efficiency that Jack Fisher had admired. Her first role was to sort and arrange the scientific, technical and administrative files. Although the Authority was only five years old it employed 40,000 people and records were spread over 10 sites and included material relating to earlier nuclear programmes. The role also gave her access to many of the scientists who had worked on Britain’s atomic programme. She eventually wrote two books on atomic energy and the nuclear deterrent, Britain and Atomic Energy, 1939-1945 and Independence and Deterrence co-authored with Lorna Arnold in 1974. Margaret left the civil service for academic life in 1966 when she took up the post of Reader in Contemporary History at Kent University. In 1973 she was appointed to the new Chair in the History of Science at Oxford University and her inaugural lecture stressed a desire to see science and technology take a more important place in British culture. 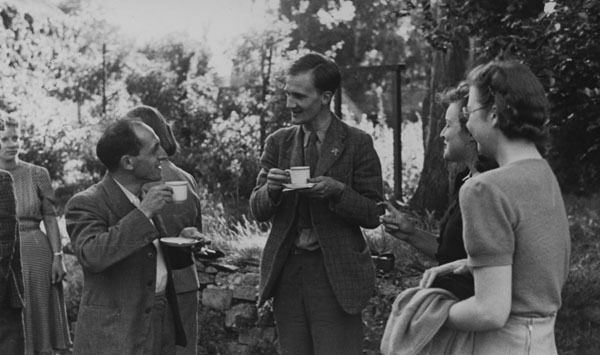 She also continued her connection with the archive community working with the physicist Nicholas Kurti to establish the Contemporary Scientific Archives Centre saving the records of over 100 British scientists. Throughout her life Margaret Gowing was committed to public service and remained a socialist. She firmly opposed the introduction of museum charges in the 1980s remembering her own access to museums as a child in London and resigned her position as a trustee of the Imperial War Museum. She also sat on the advisory board for the BBC written archives and served on Sir Duncan Wilson’s enquiry into public records between 1978 and 1980. This work meant it was left to her former colleague Lorna Arnold to complete work on the history of the UK Atomic Energy Authority. Margaret Gowing shared with another LSE figure, Sir Karl Popper, the distinction of being one of only three people to have been both a fellow of the British Academy (from 1975) and of the Royal Society (from 1988). She died in 1998 following a long illness. 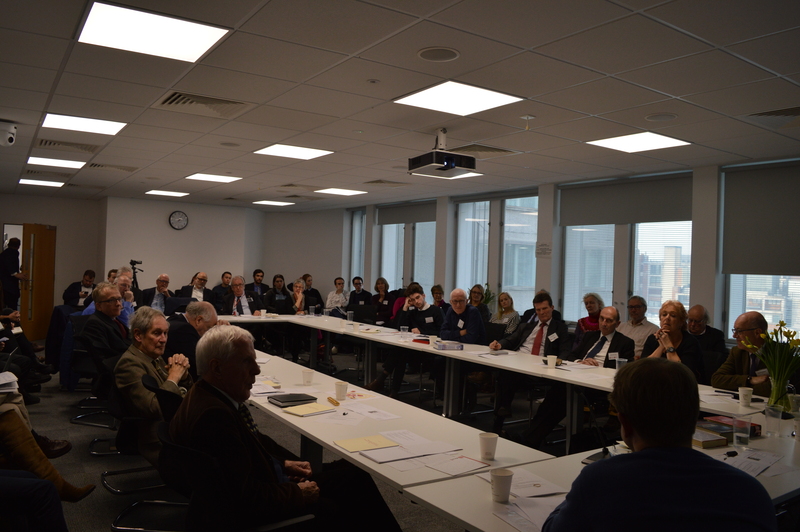 Members of the Gowing family, NATO officials, civil servants, leading historians and LSE students attended a one day conference at LSE on Monday 5 December 2016, hosted by LSE IDEAS, NATO and the LSE Department of International History. At the end of your note (which I enjoyed reading) you say that there have been only three joint FRS/FBA people, and you mention Margaret Gowing herself, and Karl Popper. I have counted four in all, the other two being Alan Baddeley and David Glass. All but Alan B had LSE connections.